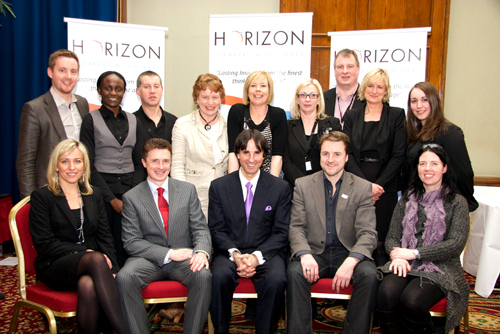 Horizon Speakers and Seminars facilitate events, seminars and vocational training that inspires, motivates, challenges, educates and even transforms lives. Established in 2007, we have helped many thousands of business owners and professionals gain world-class knowledge, improve their ability to carry out their work, develop their career and businesses, and enjoy more of life at the same time! To date we have hosted some of the worlds best thinkers and speakers on personal development, wealth creation, business development, investing, mindset, etc., including: Brian Tracy, Dolf De Roos, Dr. John Demartini, Ed Foreman, Jack Canfield, Keith Cunningham, Les Hewitt, Kerwin Rae, Mike Dooley, Nick Williams, The Market Guys and many, many more! We do this not because we have to but because we love to! The world is full of unfulfilled potential, unrealized dreams and unfulfilled lives. Our mission-in-life is to put a stop to this and provide individuals and organizations with every opportunity to develop to their fullest potential and lead truly fulfilled and extraordinary lives on all levels. We believe that life-long learning and development through events, training seminars and information products by the worlds-best international experts and speakers is the surest, fastest and most enjoyable way of developing skills, realizing potential, building human capital, building wealth, and enhancing the quality of lives and levels of fulfillment in people.